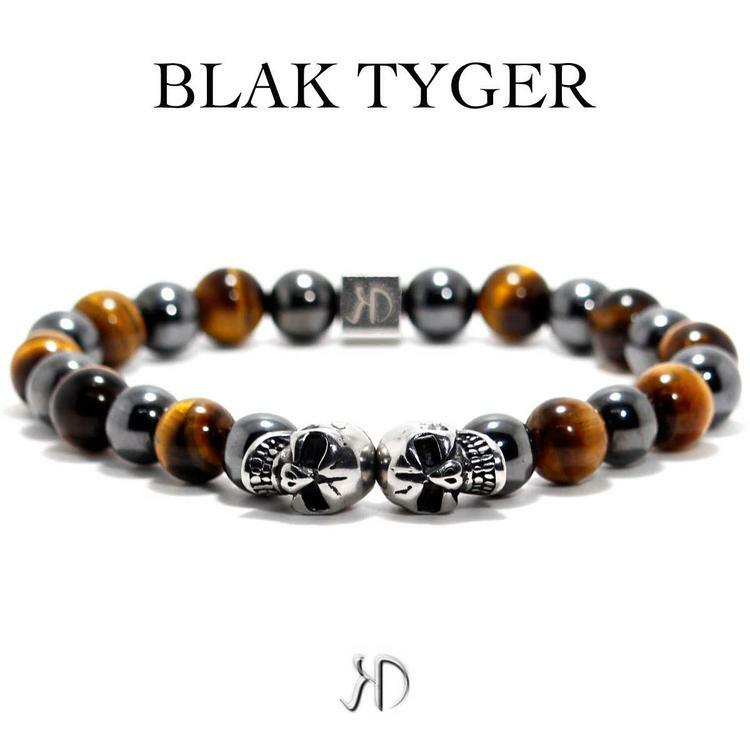 Amazing bracelet featuring head to head 316L Stainless Steel Skulls set on a bracelet of 10mm Tiger Eye gemstones and highly polished Haematite beads. The beautiful colour combination and shine of this bracelet will attract attention. Our bracelets are custom made and your order may take a few days to be processed during busy times but our goal is to despatch your order within 48 HOURS of purchase. Hatton Designs Bracelets are custom made items and as such are not eligible for refunds. We will happily exchange or resize any bracelet for free. The cost of return shipping for any altered bracelet(s) is $4.95 and payable in advance.